Important update: Bluffworks has introduced a stretchy version of these pants, called the Chino, and I absolutely LOVE them. 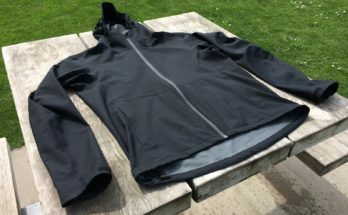 They share many of the same features as the ones reviewed here, but with a soft, somewhat-stretchy fabric, thus solving the only potential issue I had with the originals. Check out a review here. 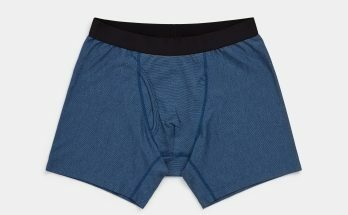 A while back I reviewed a pair of travel pants from a startup called Bluffworks, which, in my humble opinion, put most others to shame. They looked good, they felt good, and they didn’t screw things up with silly zippers and oversized logos all over the place. I was excited to go on all sorts of adventures with them, from riding the train the wrong way to tripping over the cobblestones of adorable medieval villages. But they’ve been updated. And the new ones might just be the best travel pants anywhere to be found at the moment. While the original versions were intended to be low-maintenance, high-performance pants that would work in all sorts of social situations, the new version adds a number of features that will specifically appeal to the travel crowd, while maintaining the office-appropriate, casual styling. They look like ordinary pants, but they work like high-tech travel gear, which is how these things should always be. They look entirely normal, which is incredibly rare for travel pants. In fact I can only find a few that do this, despite my incessant digging. I don’t know why the hell it’s so damn difficult for outdoorsy companies to realize that when high-tech clothing looks totally normal, it means you don’t also have to pack normal-looking clothing in addition to performance clothing. You can just pack a few sets of clothes that will work for any situation, from fancy operas to jungle treks. This is a huge deal. By increasing the versatility of just a few items, you can cut the pack in half, meaning beauty is actually a performance advantage. Those ugly zippers aren’t a “feature,” but a stupid problem that forces travelers to carry double the gear. As mentioned, these pants include a number of hidden details that will appeal to backpackers and other world travelers, which are basically invisible on the outside, and easily ignorable if you’re not using them. It doesn’t have its own clip, so you’ll need your own, but that way you can pick the kind you want, such as a locking carabiner, which will add even more security. There’s also a small drop-in mini-pocket in there, which basically splits the pocket into two sections, which can be handy for dividing coins from different countries. I generally only wear pants with jeans-style pockets so that nothing falls out, so I’ve been using this pocket for coins, so I don’t lose them. That extra pocket is actually incredibly handy. The semi-hidden waistband pocket was designed to accommodate a smartphone (though maybe not the oversized ones that are becoming more popular; my iPhone 5S fits just fine, even with a case, but it’s almost peaking out of the top), which allows you to sit down without sitting on your electronics. But I also think it’s a nice place for spare cash, since no one is ever going to look there, and it’ll fit easily. I’m already using each and every one of these features, even just at home, and I expect they’ll be even more useful while traveling. I’ve always wanted to ditch the money belt, and hidden zippered pockets provide enough security that I think that’s what I’ll do. This is 100% polyester, which means it’s naturally durable, wrinkle-resistant, stain-resistant, breathable, quick-drying, and basically shrink-proof. You can wash them in the sink, hang them up to dry, and they’ll be ready by morning. Which, if you’re on the road long enough, can be incredibly handy. But it’s actually somewhat different from typical hiking pant fabric; it’s a bit thicker than the wispy-thin nylon that you’ve probably seen before, which makes it feel a little more familiar, like an ordinary pair of pants, which I much prefer. They’re still half the size and weight of a pair of jeans, but they’re not paper-thin, providing a nice balance, and making them work across a fairly wide range of temperatures. 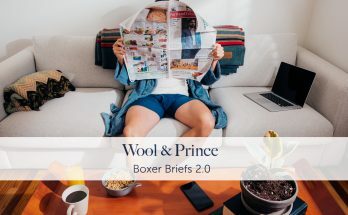 And since they were originally intended to be office-appropriate, they actually have something of a visually textured surface, sort of like a pair of wool dress pants. It’s quite subtle, so they can still be casual or professional as needed. One thing I’ll mention is that they don’t come with a pre-applied DWR finish. That’s the spray-on treatment that makes hiking pants especially water-resistant (though not quite water-proof), so that lighter droplets just bounce right off. This finish eventually wears off, so you’ll have to reapply every once in a while anyway, but I thought it would be worth mentioning that these don’t include that initial treatment, so don’t be surprised if these seem to work differently from hiking pants that come with the treatment right off the shelf. This version has a slim, modern style; I usually don’t comment too much on whether a fit is “good,” since body types and preferences vary significantly, except to say they’re a little slimmer in the legs than I’m used to, as I pretty much only ever wear relaxed fit pants. But they’re available in 1″ increments, so you can always go up and it’ll probably be just fine, and this might be a good idea; the combination of slim fit and non-stretch fabric can feel tight sometimes, like when you’re kneeling down to tie your shoes, or sitting on a plane for several hours. It’s important to get the right fit with these, to accommodate the trim fit and non-stretch fabric. They have, however, modified the fit slightly since I got them, to make them a little roomier. They’ve also added a relaxed-fit version, and a stretchy version (and I like the stretchy version the most). I made the zipper handle stick out so it would be more visible for the photo, but it can be easily concealed. I’m not-so-secretly hoping for a matching suit jacket, because a low-maintenance business suit that you could throw into a suitcase or a laundry machine would be pretty spectacular. So as you can tell, I’m quite happy with these. They look perfectly normal, they perform as well as any hiking pants I’ve found, and they’ve got travel-friendly hidden features to keep everything safe and secure. They’re basically the sort of thing all the travel clothing companies should have been doing this whole time, but so few people ever do. Morons. It probably goes without saying from the frequent complaining I usually do, but, despite getting these for free, all opinions here are my own. I’d be shouting furiously if there were any reason to do so. I will reiterate the caveat of the slim fit and non-stretch fabric; these might feel a little tight in certain places, depending on your particular body type and which size you pick, so keep that in mind (although the new relaxed fit version will go a long way in providing extra room). That’s the only issue I can think that people might have with them, but they’re otherwise great. As mentioned above, you can just get the stretchy version instead. It feels great, and is my favorite of the two. So visit Bluffworks if you’d like a few of your own, and go explore. I’ll have to recruit a photographer, because my selfie skills are subpar. They actually do look like a pretty nice pair of pants. That is the problem with so much of the travel gear, it looks like you are coming off a Safari and most of it does not stand up to daily wear. They need to make a women’s version! Hopefully someday. Everyone could use more sensibly made things. I’m really eager to get some of these pants but I’m a bit hesitant about sizing. I don’t really have a typical pant size. Most of my jeans are 31/30 though I usually cuff them. I also have khakis that fit me decently and they are 30/30. I was thinking of just going with 31/30 as I tend to prefer a bit more room as opposed to a snug fit. What do you think? Thanks! A lot of clothing manufacturers have been doing “vanity sizing” for a long time, which is why you don’t have a typical pant size. They just change the numbers sometimes so people think they’re still fitting into their normal size, instead of realizing they’ve been eating too much. But anyway, I think these are about the size of a regular fit, rather than a relaxed fit, so if you’re on the fence, going with the higher number is probably going to be fine, and allow for a little more room. If you click on pants photos on the front page, it takes you to the shopping page. From there, you can scroll down and it gives actual measurements of the various sizes. For example, size 30 has a 31.75″ waistline. That’s about typical, from my experience. My snug pants are size 30 and my looser pants are 31 or 32, but my actual waistline is about 31.5″. Yeah that’s what I thought. Good to hear because I’m close to a 32″ when I measure myself and I just went ahead and ordered 31/30. Hopefully it works out. Thanks for the advice! I just got my pants today. My waist is just about 31″ and the size 30 fit perfectly. Hey – here’s my current favorite pants for warm weather/tropical destinations; REI Adventures Pant, $49.50. Aside from the one discreet leg zip pocket it has everything you want and looks like a pair of pants. I have the shale. Wash in the sink, dry in hours. They go great with my Teva Churn mesh shoes http://www.teva.com/men-shoes/churn/4153.html Mine are plain charcoal grey but I notice the current model has Teva in bright blue on the side. The best warm/tropical shoe I’ve ever had. Usually wear ankle high charcoal athletic socks to be fashionable but go sock less in a downpour and they dry out super fast. My best mild/cold destination shoes are black leather from Thad Stuart. Agree with you on the leather, it feels great and looks great. Holds up to anything but a serious off-road trek. Got them at a Walking Store. I had occasion to wear all on a recent trip that included Paris, Amsterdam and Brugge in late Oct (43 & rain) and then 3 weeks in South Africa including J-burg, the bush and Cape Town (80+). Six flights, carry on only. I like them conceptually, but I recall the fabric seeming like it would produce a little too much friction. Some people don’t seem to mind, though. I have two pairs of the REI Adventures pants (tan & olive) and, while they’re quite a lot better than safari-style/convertible/etc pants, they don’t quite pass for office wear or for more dressy occasions. Their light weight and drape belies their origin. My wallet is rather upset with SnarkyNomad, but I’ve recently purchased both the Rohan Jeans Plus and the Buffworks tan slacks, and both are totally normal-looking, and I’ve been happily wearing them for my daily wear here at home in SF. If you don’t care about the somewhat dressier look, or are put off by the considerably larger price tag of either the Jeans Plus or the Buffworks, the REI Adventures are certainly worth their ~US$50 price. Of all the travel-appropriate pants I’ve had (the ones above plus ExOfficio convertible cargo pants, which I never wear due to their hideosity), the Buffworks are my favorite by far. Clothing Arts’ Business Traveler pants are pretty sweet, although I get the feeling you wouldn’t like the antitheft straps. I like them quite a bit, though I’d like to see a version that’s 100% indistinguishable from regular clothing. They’re quite close, but they could be all the way there. Based on your earlier review, I picked up some of these pants for an upcoming trip to Europe. While I haven’t gone on the trip yet, I have already enjoyed the heck out of these pants. They look and feel great. I wear them to the office with a shirt and a tie, I’ve worn them out around town with casual shoes/shirts, and I wore them to the zoo this past weekend. So basically, these pants are worth the price to me because I am going to wear them regularly and not just when I’m traveling. Oh, and if you do dry them in a dryer, it takes maybe 15 minutes at most. Happy to get the word out. I had gotten so frustrated with so many variations of travel pants that almost looked normal that it was refreshing to find these. I’m looking forward to taking mine around the world sooner or later too. I ordered a pair of these and just got them yesterday. You aren’t kidding when you said they’re a slim fit. I normally wear about a 32/33 – 34, so I ordered myself a 34-34. They feel like they’re hugging my body everywhere, I was worried when I sat that I’d actually rip them. The material is great though, I hate the parachute pants feeling of most other pants. I’m torn between sending these back for a refund or exchanging them for a larger (36-36?) size and tailoring them for a more relaxed fit. They come in 1″ waist size increments, so how about a 35? Even just an inch can make a big difference. I agree that they are a tighter fit than most jeans/slacks. All my jeans/slacks are waist 33 or 34, so I ordered a 34. They are uncomfortably tight in the thigh with little room to spare in the waist (which is fine for here, but I know I’ll gain a few pounds over our 34 day trip…). I’m going to try a 36 waist as the 35 is on backorder. A big note is that you have to pay your own shipping for exchanges. For a $93 pant that doesn’t have a ‘typical’ fit I’d think they would have free exchanges. Or maybe I’m just spoiled by REI/Zappos/Amazon. You are right though. These pants look great. After reading your blog I ordered a pair. They arrived yesterday (only the brown available now in my size). I tossed them for a quick wash and dry, put them on this morning for work (with a new pair of underwear – you MADE ME BUY) and these things are nice and far cooler than my normal cotton (canvas) pants that I like to wear. I contacted them today and will be ordering more (they are currently on back order and next shipment is for 7/25) – but if you order now you can get $5 off. Also – good news – they will have Navy Blue offered this fall. Now I am waiting for my Rohan Plus Jeans…. These pants were awesome on my trip. I didn’t bother to wash them, but despite being packed and repacked several times as we relocated around Europe, I had no issues with wrinkles. The zippered pockets were great in Paris where I had some pickpocket concerns, though I never actually felt threatened. But I will say that all of the talk about what to wear or not wear in Europe seems to be useless advice. Wear whatever you want. That’s what everybody else does. Haha. Yeah, there’s no “correct” answer, and no one’s going to get upset if you’re wearing jeans or khakis or shorts or whatever. I just love efficiency and the ability to handle all sorts of weather. Yeah, unfortunately, we caught a heat wave after leaving Normandy. Luckily, it cooled down at night fairly quickly so sleeping without a/c wasn’t much of an issue, but I wish I had taken a pair of shorts. And to think I was worried about being chilly! But these pants are really great so no regrets about buying them.